You see these measurements featured prominently on nearly every new vehicle ad, but what exactly are torque and horsepower? It’s not set in stone, but you’ll generally find performance-focused vehicles emphasizing horsepower and utility-focused vehicles emphasizing torque. Deep dive with us into the two forces that can boost the power of your new Jaguar today. While torque and horsepower are related, they are different. Simply put, horsepower is the amount of work your vehicle’s engine can do at a specific RPM, and torque is the measurement of the twisting force the engine delivers to the drive wheels. Both offer their own performance benefits on the roads of Fort Mitchell, KY. Horsepower is calculated by measuring the amount of torque created by the engine and multiplying it by the RPM needed to achieve that number, then dividing that figure by 5252: torque x RPM / 5252 = horsepower. So while they are different forces, they do play into each other. While high horsepower numbers don’t tell you everything about how a performance vehicle like the Jaguar F-TYPE will handle its daily drive on the roads of Mason, those specs are still a pretty good indicator of how responsive the vehicle will be. High Horsepower: Delivers faster acceleration and high speeds. When driving a heavy vehicle such as a Jaguar F-PACE SUV, the torque number tells us the potential pulling power of the engine at a specific RPM. In a sport vehicle, the torque is used instead to get the vehicle moving through its gears, so that drivers can take full advantage of all that power from the engine. High Torque: The more torque, the more strength you have for towing and the stronger your low-speed acceleration. Have more questions about torque vs. horsepower? Our staff loves talking cars and would be happy to break down anything you need to know about how vehicles operate. 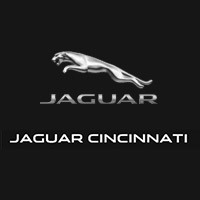 Contact us at Jaguar Cincinnati near Lexington, KY to get all your car questions answered today!